"Earle" Bergey was born Earl Kulp Bergey on August 26, 1901 in Philadelphia, Pennsylvania. His father, Abraham Franklin Bergey, was born in 1861 in PA. His mother, Sarah Rose Ella Kulp, was born in 1865 in PA. His parents married in 1886 and had eight children, William (b.1887), Walter (b.1889), Winfred (b.1891), Bessie (b.1894), Alice (b.1896), Frank (b.1899), Earl (b.1901), and Clara (b.1904). The family lived at 2344 Twelfth Street. The father was the leader of the Philadelphia Municipal Band. The children all attended public schools in Philadelphia. In September of 1915 Earl Bergey, age fourteen, began to attend Philadelphia's Northeast High School, where he became interested in a career as a newspaper cartoonist. He contributed drawings to the school publications and yearbooks. In June of 1918 Earl Bergey completed his junior year at Philadelphia's Northeast High School, after which he left school and entered the work force. His first job was on the art staff of The Philadelphia Ledger. During the Great War, he was too young to serve in the military. He lived with his mother and two older siblings at 4312 Eighth Street, while his father lived separately at 1115 West Dauphin Street. 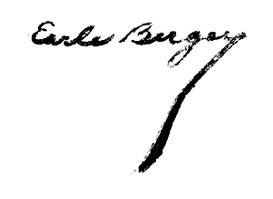 From 1921 to 1926, while working as a staff artist at The Philadelphia Ledger, Earl bergey attended night school at the Pennsylvania Academy of Fine Arts in Philadelphia. He is not listed in the archives of the school's registrar as having been enrolled as a full-time student, nor did he complete any certificate or diploma program at the school. He continued his work for newspapers and in June of 1927 "E. K. Bergey" replaced Charles J. Coll as the artist on the daily comic strip "Deb Days," which appeared in The Philadelphia Ledger, and also appeared in several other syndicated newspapers nationwide. On October 31, 1929 the artist's father, Abraham Frank Bergey, died at the age of sixty-eight when struck by a Philadelphia street car. With the father's life insurance the mother bought a home for fifteen thousand dollars at 468 Township Line in Horsham, PA, Montgomery County, where there was enough room for the widow's three youngest children, Frank, Earl, and Clara (Bergey) Beheydt, plus Clara's husband, Frank Beheydt. During the Great Depression newspaper advertising revenue shrank along with circulation. 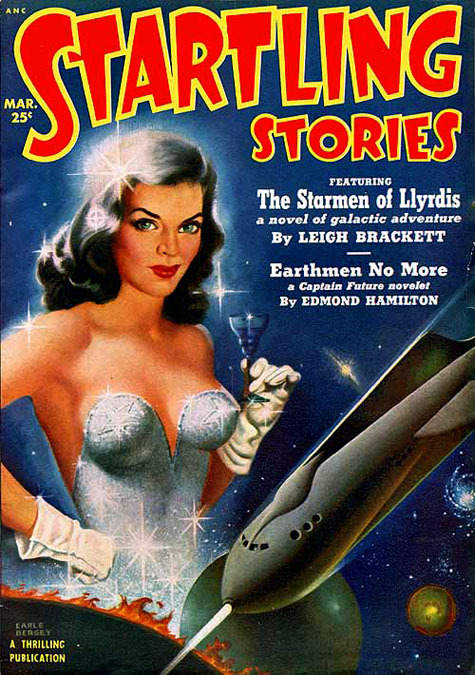 At that same time the New York City pulp magazine industry was experiencing its most prosperous era, which increased opportunities for pulp illustrators. 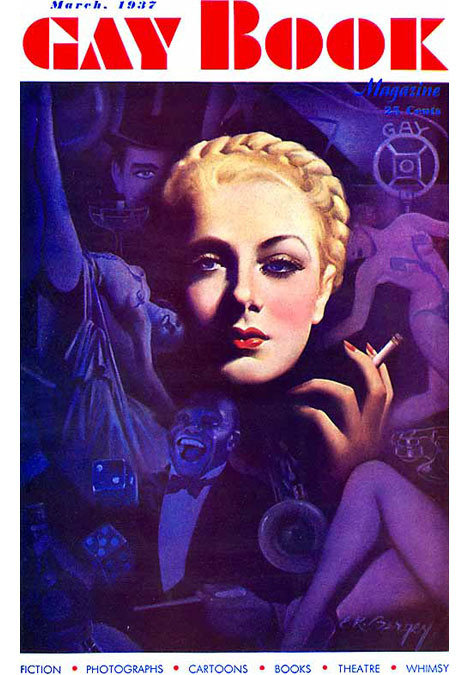 Bergey's first cover paintings for the pulps were for pin-up magazines, such as Gay Book, Pep, La Paree, Bedtime, Snappy, and Brief Stories. All of these magazines were distributed by Paul Sampliner at Eastern Distributing Company. 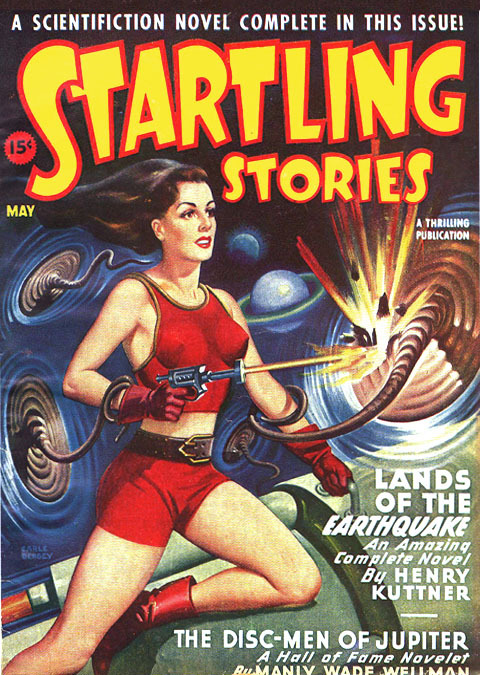 Sampliner also lent credit to publishers, such as Ned Pines at the Thrilling Group, which produced Captain Future, Exciting Football, Startling Stories, Thrilling Sports, and Thrilling Wonder. 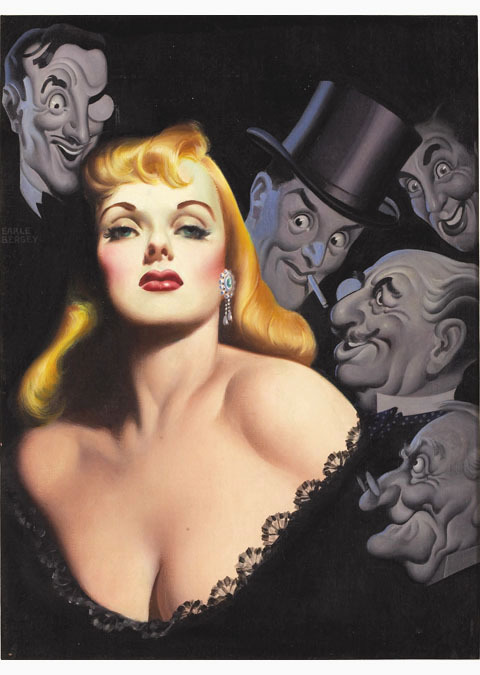 All of these pulp soon had covers painted by Earl Bergey, who had begun to sign his work as "Earle Bergey." On January 26, 1935 Earl Kulp Bergey married Hélène (Hélaine) Marie Bernadette Brochu in the bride's family home in Quebec City, Canada. She was born on February 21, 1913 in Canada, so she was age twenty-one, while the groom was thirty-three. She also had a five-year-old son, Jude (b.1928), from a previous marriage. They newlyweds moved to 2962 Easton Street in Horsham, PA, where they raised three children, Jude (b.1928), Earle (b.1937), and John (b.1939). On April 19, 1936 Hélène (Hélaine) Marie Bernadette Brochu Bergey's father and mother, Joseph and Eugenie Brochu, both died on the same day at the ages of sixty-eight and sixty-six in Canada. In 1940 the artist's mother, Sarah Rose Ella Kulp Bergey, died at the age of seventy-five in Horsham, PA.
After his mother's death, the artist used a portion of his inheritance to buy "The Farm Hous" at the intersection of Shewell Avenue and Union Street in Doylestown, PA. It was a special pleasure for the artist to own his home, because for the first time in his life, at age thirty-nine, he was finally able to have a private art studio. He designed the decorative banner of the Doayapo Club, a social club for the young men of Doylestown. According to The (Pennsylvania) Central News, "The Doayapo Club is a group of twenty-six young men of Doylestown who get together at the Fountain House to eat and talk, and enjoy certain social contacts with a short, snappy live-wire dinner meeting." 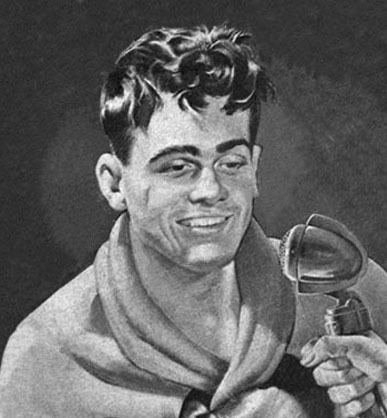 Little documentation has been found concerning the artist's military service during World War II. 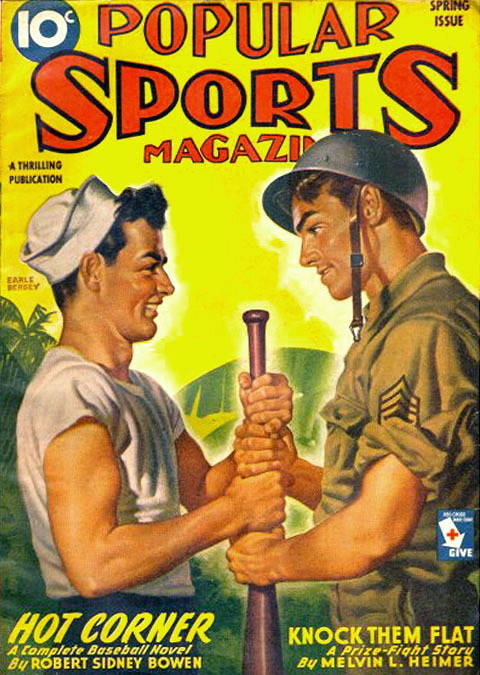 On February 16, 1942 he reported for draft registration. He was listed as 5-foot-eleven, 205 pounds, with brown eyes, grey hair, and a light complexion. At that time he was age forty-one, married, and the father of three sons, so it is not surprising if he was not selected for military service. However, on November 27, 1945, after the war had eneded, a Staff Sergeant in the Army Corps of Engineers, named "Earle Bergey," who was born in 1901 in Pennsylvania, was listed along with thousands of other troops returning from England to America on the Steam Ship Queen Mary. 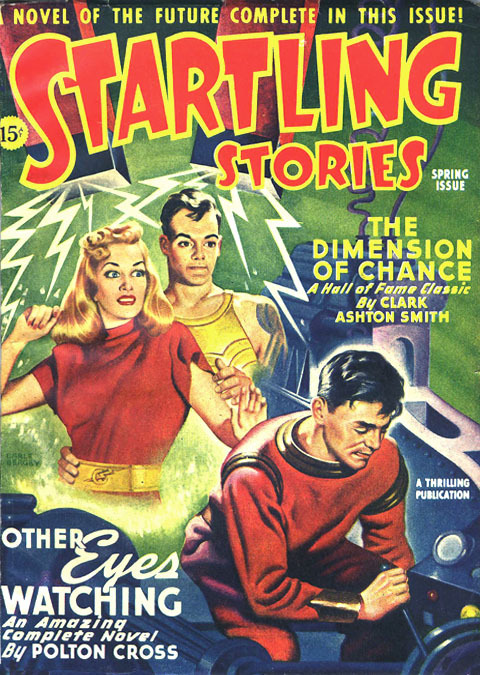 By 1948 Thrilling Publications began to produce Popular Library paperback books. 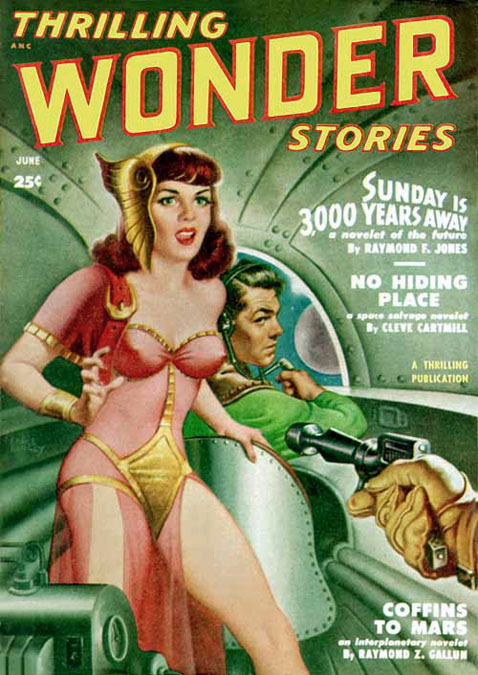 Many of these covers were assigned to Earle Bergey, who was a friend of the art editor, Churchill Ettinger (1903-1985), who was also an illustrator for the New York Sunday World. 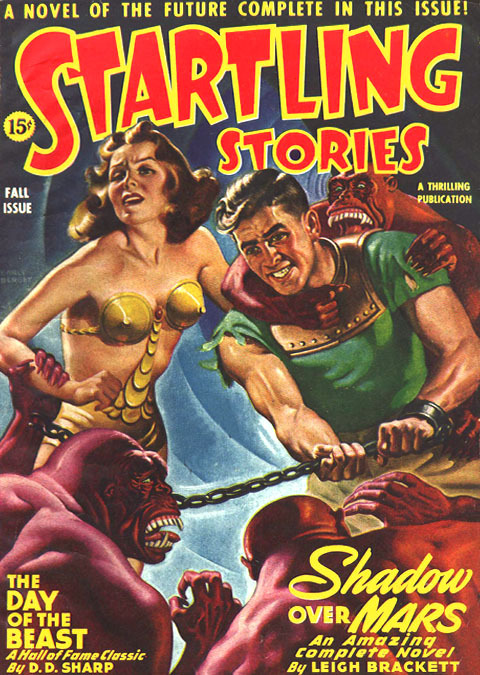 In addition, Bergey was also pals with another pulp illustrator from Pennsylvania, Rudy Belarski. From 1948 to 1952 the three artist friends got together for lunch to discuss ideas for paperback book covers, which created the influential look of Popular Library paperbacks. Bergey's most renowned contribution to this genre was "Gentlemen Prefer Blondes" by Anita Loos. 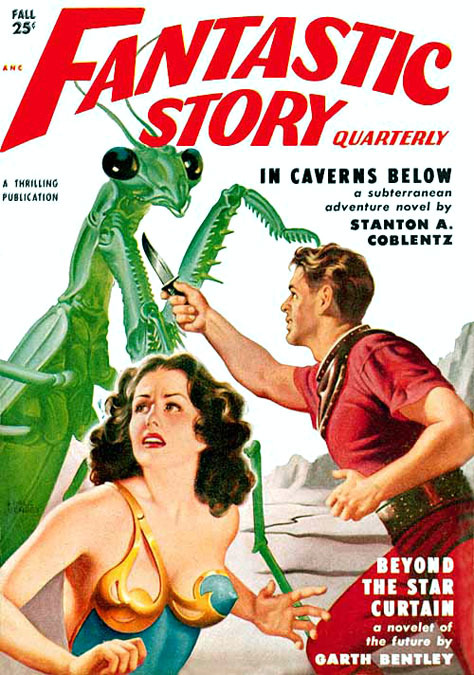 Besides Popular Library, Earle Bergey also illustrated paperback book covers for Avon Books, Lion Books, and Pocket Books. In 1950 the artist rented a separate studio apartment at 51 Mechanic Street in New Hope, PA, which is ten miles east from his home in Doylestown, PA. The pulp artist Mat Kauten also had an art studio in this quaint artistic town on the Delaware River, famous for its many antique shops. 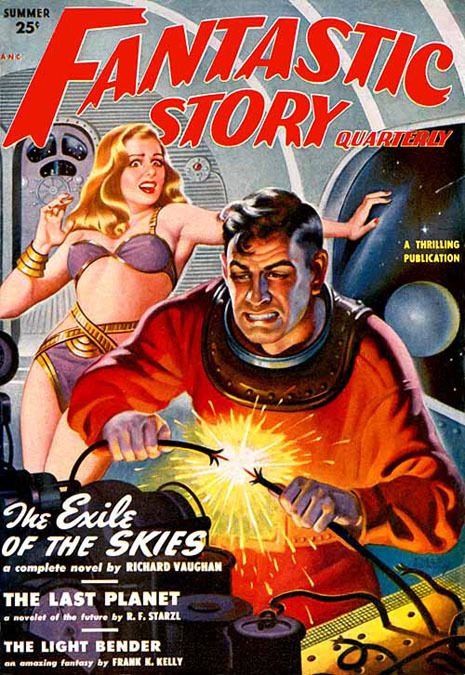 Earle K. Bergey died of a heart attack at age fifty-one, while undergoing a stress test at his doctor's office in Hew Hope, PA, on September 30, 1952.